As the Twin Cities metro expands ever-outwards, more and more land that was once critical habitat for fish, plants, and wildlife becomes new subdivisions, houses, and roads. And that means that areas like Medvecky Woods, one of the few remaining large, ecologically intact and functional landscapes just north of the metro area is coming under threat from new development. Having seen other natural areas around the metro paved over, landowner Tom DeCorsey wanted to avoid the same fate for his property. DeCorsey has hunted on a parcel of land in Medvecky Woods for years, and this week signed a conservation easement with the Minnesota Land Trust to protect the landscape he loves forever. Funded by the Outdoor Heritage Fund and the Minnesota Land Trust members, this project permanently protects 40 acres of wetland and forest from development, and connects to another 80 acre parcel which is already protected by a conservation easement. In addition, these properties are just north of the University of Minnesota’s Cedar Creek Ecosystem Science Reserve, creating an even larger complex of protected land, more functional wildlife habitat, and a greater cumulative impact on water quality. The property is part of a truly unique landscape; one of the few untouched parcels of intact habitat this close to the Twin Cities Metro and Isanti. The Minnesota Land Trust worked closely with the Isanti Soil and Water Conservation District to identify potential properties in the area with significant conservation impact, like this one. 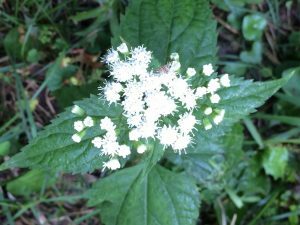 The property is host to a number of rare plant and animal species, and is in the headwaters of Cedar Creek, which is an important warm water fishery to the Rum River. Protecting Cedar Creek and critical natural areas adjacent to the creek is a conservation priority for a number of conservation partners, including the MN DNR, Anoka County Parks, Anoka Conservation District, and The Nature Conservancy. Conserving and connecting the Cedar Creek corridor is vitally important to preserve wildlife and native plants in an increasingly suburban setting. 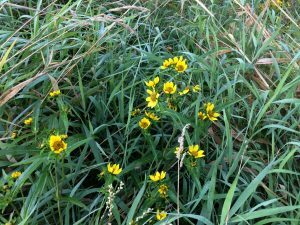 While out on the property, program manager Nick Bancks spotted a number of native plants as well, including Nodding Bur-Marigold and White Snake Root. The property is about 50% wetland, with the rest Oak/Basswood forest – rare for the area. Recent storms cleared out part of the forest, however, good management has kept back the spread of invasives, and kept this a truly unique and beautiful landscape. 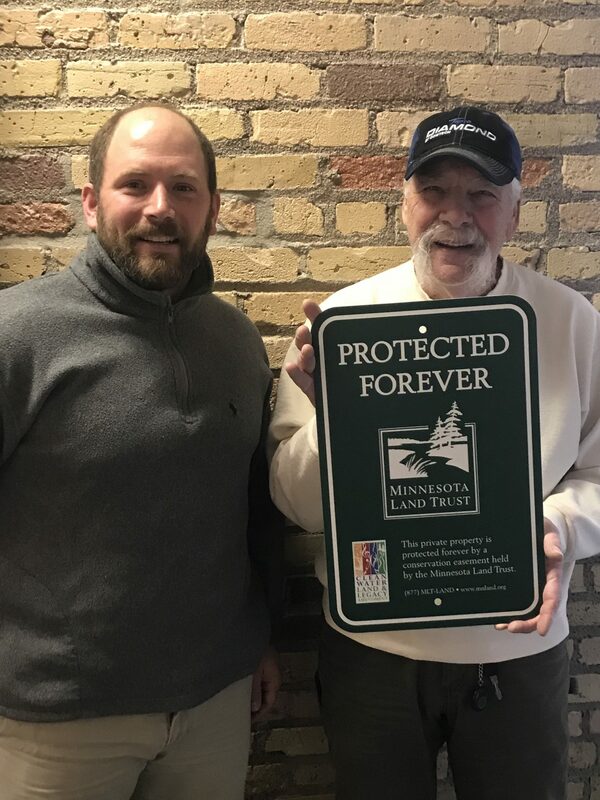 This permanent conservation easement was made possible thanks to the members of the Minnesota Land Trust and with funding from the Outdoor Heritage Fund, as appropriated by the Minnesota State Legislature and recommended by the Lessard-Sams Outdoor Heritage Council (LSOHC). Thank you to all our members and supporters, and most of all to Tom DeCorsey who has protected this gem forever!